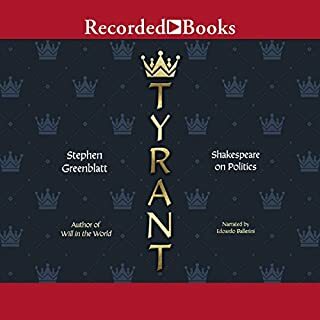 Greenblatt's scholarly elucidation of Shakespeare's tyrants implicitly comment on the spectacle of Trump. Masterful and thoroughly enjoyable. A great story but marred by homophobic, racist and misogynist characterizations. 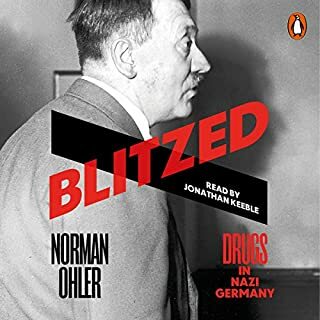 Still exciting to listen to and perfectly read. Masterly writing but quite gruesome in parts! The performances and storytelling were excellent throughout. Not for the squeamish though. The author's commentary before and after were also very interesting, especially for aspiring writers. Overall very impressive but not always enjoyable listening. 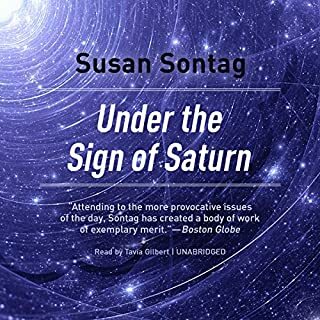 Sontag's most important critical writings from 1972 to 1980 are collected in Under the Sign of Saturn. One of America's leading essayists, Sontag's writings are commentaries on the relation between moral and aesthetic ideas, discussing the works of Antonin Artaud, Leni Riefenstahl, Elias Canetti, Walter Benjamin, and others. The collection includes a variety of her well-known essays. Sontag's writings are famously full of intellectual range and depth, and are at turns exhilarating, ominous, disturbing, and beautiful. I love some of the essays in this book and the reader does an outstanding job. 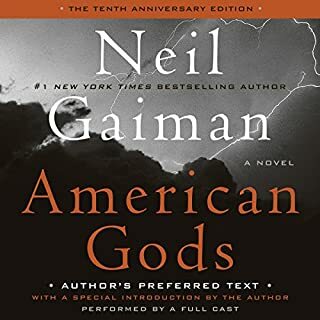 Overall a great audiobook experience. 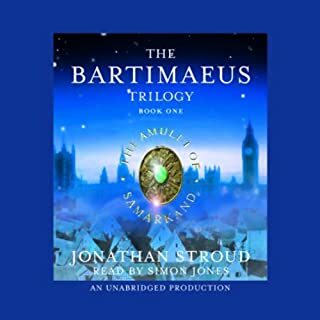 Simon Jones is wonderful as the sarcastic, jaded djin of the trilogy's title. The book itself is made to be a classic. Clever, funny, inventive and full of wry, witty observations about the folly, selfishness and greed of mankind and the rise and fall of empires. Kenneth Branagh gives a great performance. Ennoyable throughout, inspite of occasionally heavy handed biblical allegory. I wish Jeremy Northam could have read all the books in this series. 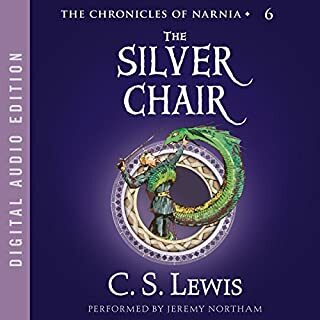 The Silver Chair is exciting and thoughtful with less of the rather forced political and social satire that afflicts some of the other Narnia books. I have listened to this recording many times without tiring of it. 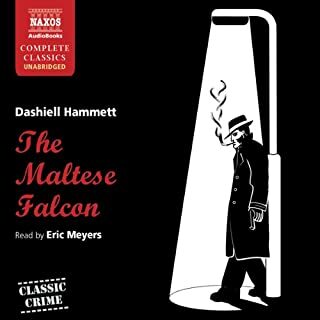 The narrator's affected and pretentious delivery made this hard to listen to. 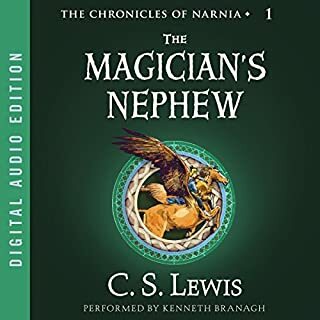 The story might have been more enjoyable if read by Jeremy Northam, the consumate narrator of The Silver Chair. 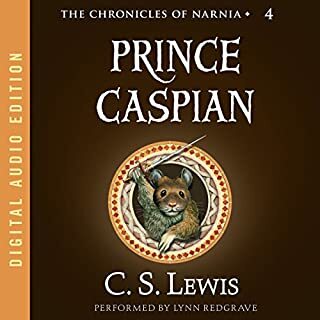 However, the story itself is fairly thin, unengaging, and doesn't rank alongside the best Narnia books. 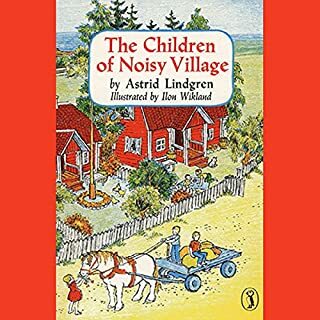 A charming story about the everyday life of six children living on the three neighboring farms that everybody calls "noisy village" because of its "high spirits". I liked this book very much. I thought it was sweet and I liked how Astrid Lindgren shows how she can write so many different styles of books because I only thought that she wrote Pippi Logstocking. Catherine Byers did a good job to.